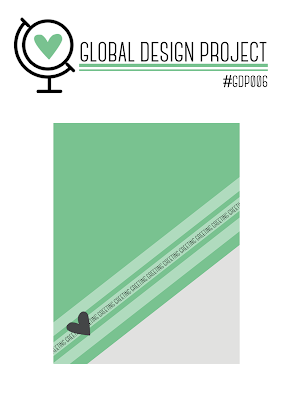 Have you been following us over at the Global Design Project? If you haven't, you are totally missing out! There is so much inspiration and every week I am simply blown away at each and every single Design Team creation. This week is a sketch challenge and I was a little worried to start with....because I don't cope with angles, that's why I love these challenge, because they get me thinking outside the box! I have been wanting to use my new gold stripe washi tape from the Winter Wonderland Designer Washi Tape pack for quite a while now and I started of with just one strip of it under the red bow....then decided to carefully line it all up to create gold lines, cool huh?! I have also been neglecting my Bow Builder punch and was going to use ribbon instead, but I really like how smart it looks in the real red cardstock with navy base. I love how you combined the red with gold, and I love your bow, great job ! Very cool use of the Washi Tape!!!! 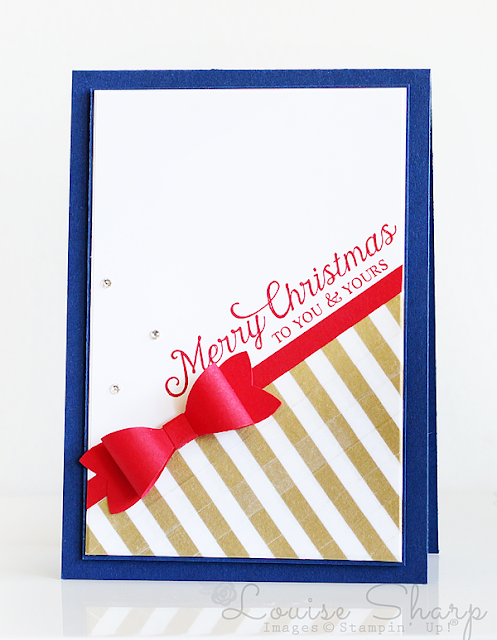 I love the bright red and blue combined with the gold and white. What a cool idea with the washi tape. Love it Louise! Greeeat job. Wonderful card Louise. I just love that pop of Blue. 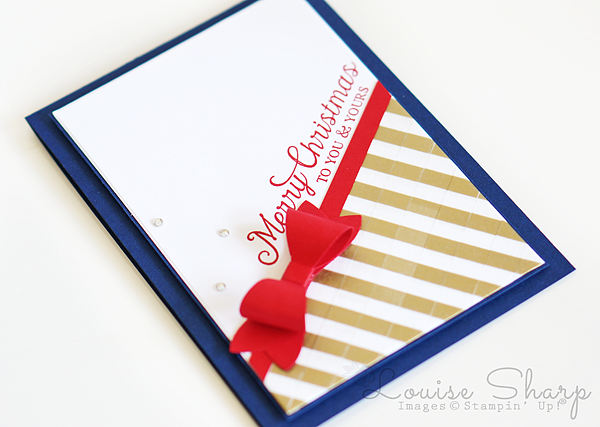 Louise, I love the gold stripes and the pop of color the big red bow adds to your lovely card. Nicely done! I think you coped with the angles very well Lou! Love the pop of red against your other base colours! LOVE LOVE LOVE! Love the bow, Love the Washi, Love the colours! Louise, is everything OK? Have you lost your pink ink pad? What's going on? **kidding, kidding** Love this card and it is a lovely color scheme. A bold, fresh look.